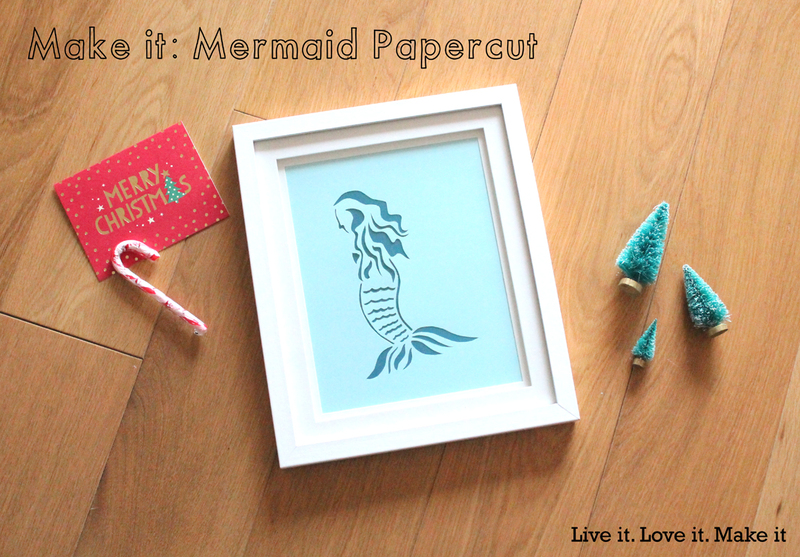 We have a tutorial today for a present idea this Christmas for the mermaid fan in your life. 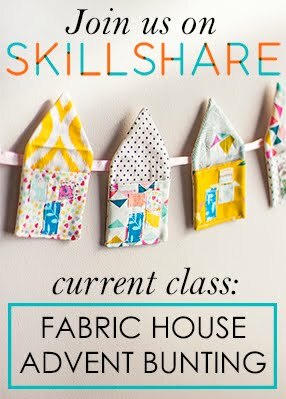 It really is a simple project to do and one that you can tailor to the person you are giving it to. 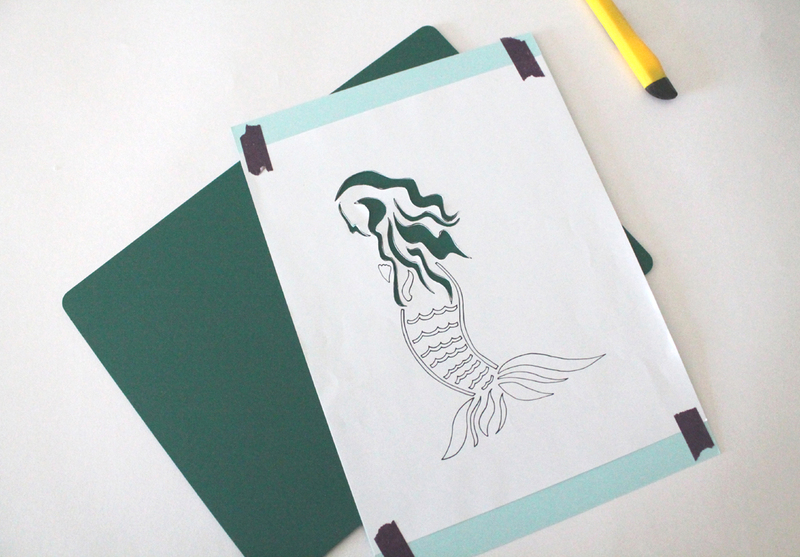 You will need; Craft knife or scapel, cutting mat, paper to cut (advise 160gsm or above), print out of mermaid, masking tape/washi tape, background paper/fabric (I used Fabric from Sew Crafty) and a frame. 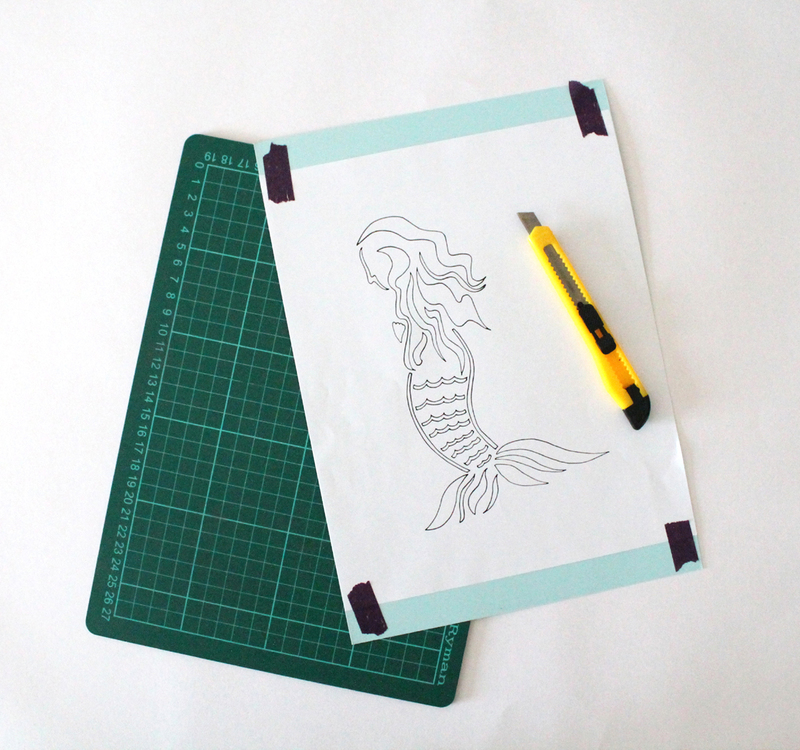 Firstly attach the print out of the mermaid to the paper you want to cut, using masking tape or washi tape. This will help keep it in place as you cut it out. This is where you start to cut out and find your own way that works. I usually start with the larger sections first and then go into the smaller sections afterwards. Cutting out the sides that are closest to each other first. Make sure your blade is sharp, on craft knives you can break off the tips as you go to keep them sharp, scapels will require a new blade every so often. When you have all of your paper cut, you are nearly there. 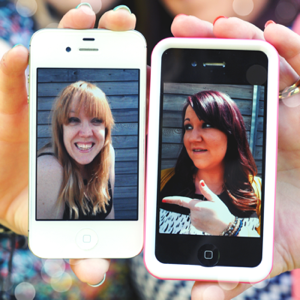 You get to choose your background colour! 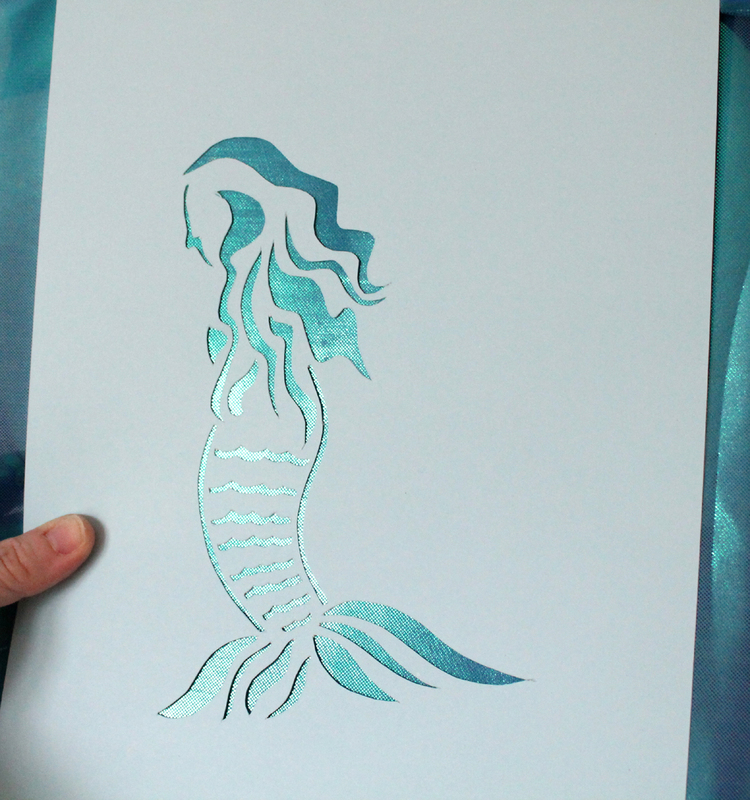 I went with this shiny mermaid fabric from Sew Crafty and taped it onto a piece of card to keep it taught. Then you get to frame it and you are done! 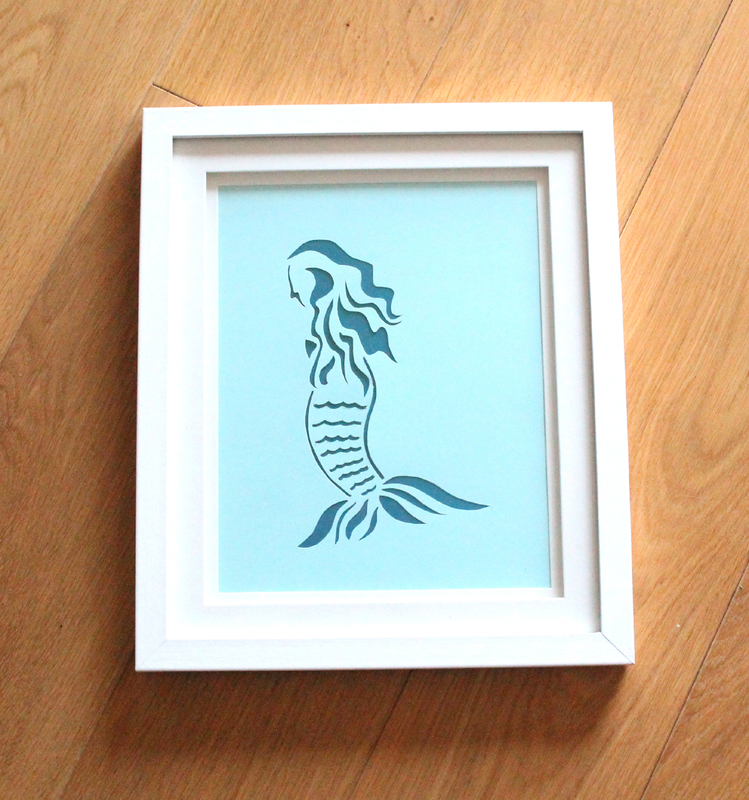 Ready for the mermaid fan. You can of course change the colours and scale up the print out if you like to make it fill the page more. It is totally up to you. 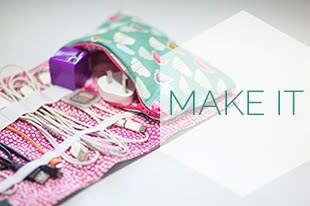 We hope you enjoy this tutorial and do let us know if you make it for someone, or maybe just for yourself! 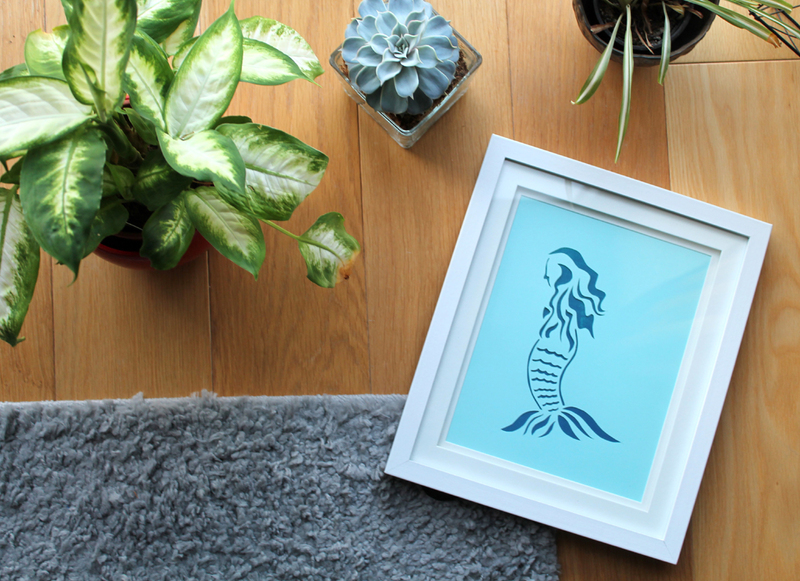 Don't forget your FREE Mermaid download for the project, but of course you can tweak it to your own style.